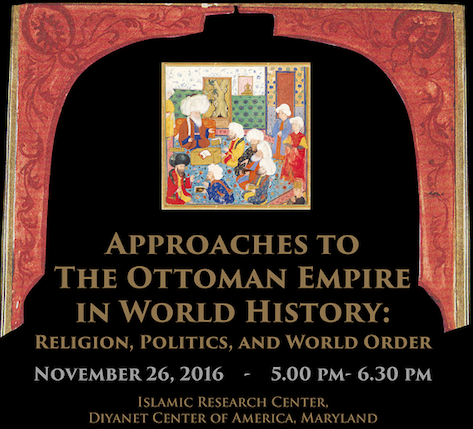 Diyanet Islamic Research Institute organized a panel entitled “Approaches to the Ottoman Empire in World History: Religion, Politics, and World Order” on November 26, 2016. 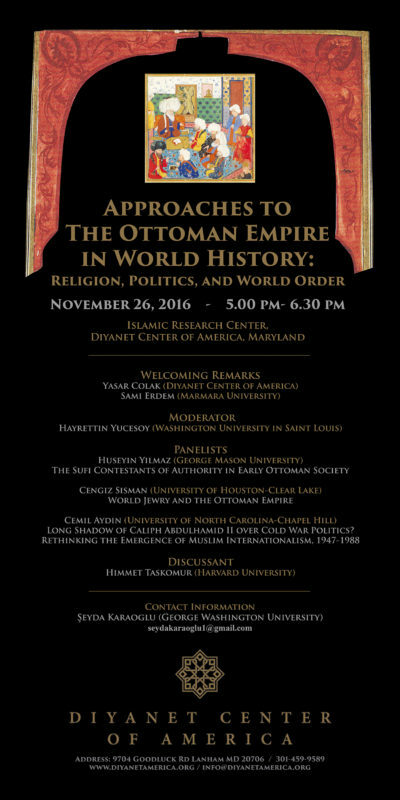 The day-long meeting brought together experts on social and political history of the Ottoman Empire. The meeting started with addresses from Yasar Colak, President of Diyanet Center of America (DCA) and Sami Erdem, Director of the Diyanet Institute. The speakers included Hayrettin Yücesoy (Washington University in Saint Louis), Hüseyin Yılmaz (George Mason University), Cengiz Şişman (U niversity of Houston-Clear Lake), Cemil Aydın (University of North Carolina-Chapel Hill), and Himmet Taşkömür (Harvard University).